Half a dozen hits can’t make up for the losses racked up by dozens of flops. All you need to know about the Hollywood box-office situation is this: Last weekend, sales plummeted to the worst level this century — and this weekend will be even worse. So bare is the Tinseltown cupboard that this weekend’s biggest release is a 1977 picture, Steven Spielberg’s Close Encounters of the Third Kind, which has nothing to offer except announcing its 40th birthday. With a projected box-office take of barely $1 million, this may be the first film release in history to lead to more podcasts than actual ticket sales. “This film’s not perfect!” could have been the tagline for any number of films released this horrendous summer. Sales were the weakest since 2006, off a huge 16 percent from last summer. From the big-screen adaptation of Baywatch that no one was waiting for to chapter eleventy-five of Pirates of the Caribbean and the umpteenth Transformers movie, it has been the Summer of Flops. King Arthur: Legend of the Sword cost something like $175 million but earned $39 million in North America. Luc Besson’s Valerian and the City of a Thousand Planets cost about the same and took in about the same. The Emoji Movie piled up only $78 million. Alien: Covenant drew $77 million. Stephen King’s The Dark Tower didn’t even make it to $50 million. The Mummy, an ambitious effort from Universal to launch a new universe of interlocking horror titles, earned only $80 million and seems likely to be remembered mainly for the unintentionally hilarious performance by Russell Crowe as Dr. Jekyll and Mr. Hyde. The only movies that made any money the entire summer were Guardians of the Galaxy Vol. 2, Wonder Woman, Spider-Man: Homecoming, Despicable Me 3, and, on a smaller scale, Dunkirk, Baby Driver, and Girls Trip. Even Pixar stumbled with its second-lowest-grossing effort among its 18 releases, Cars 3. Half a dozen hits can’t make up for the losses racked up by dozens of flops. Nor does the fall look particularly promising. The summer closed with a particularly stinging blow to the movie studios’ amour propre when one of the hottest feature directors in the business, Damien Chazelle, announced his next project would be an eight-part Netflix series. Chazelle both won the Best Director Oscar and scored a major box-office hit with his last film, La La Land. Chazelle joins the Coen Brothers, Martin Scorsese, and David Fincher among major feature directors who are now turning to the streaming giant. The summer closed with a particularly stinging blow to the movie studios. Gone with the Wind, Soon to Be Gone with the Wind? 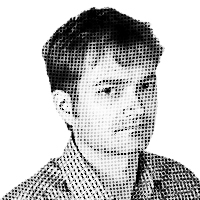 — Kyle Smith is National Review Online’s critic-at-large.